The Liberation War of Bangladesh is one of the longest liberation wars in the history of the world. On 26 March 1971, the war was started, when Pakistani army launched an operation called ‘Operation Searchlight’. Then Bangladeshi mass people started resisting Pakistani army’s attack by organizing Mukti Bahini (Liberation Force). The 9 months long war ended with the surrendering of almost 93,000 Pakistani soldiers to India-Bangladesh joint forces and liberating Bangladesh (formerly known as East Pakistan) with the separation from (west) Pakistan. Most of the Bangladeshi adult people contributed in the war to liberate their land and earn their rights. Almost 3 million Bangladeshis were killed, 0.2 million women were raped by Pakistani army, almost 10 million people took shelter in neighboring country India as refugee, 30 million people displaced. But very few of the Bangladeshis, betraying with their nation, helped Pakistani army to commit crimes against humanity such as genocide, rapes, firing at people’s residence, etc. Those Bangladeshis were recognized as ‘Rajakar’. Bangladeshi Government has started trial of those Rajakar’s crimes against humanity.To know more about Bangladesh liberation war, please visit the Wikipedia page on the Liberation War of Bangladesh. Chittagong Hill Tracts is the southern part and the only very hilly area of Bangladesh. War was extended whole over the country. Chittagong Hill Tracts was never excluded from the war. The then Bangladeshi Government awarded 7 freedom-fighters highest glorious award Bir Shreshtho, who fought for their country with valiant effort and were killed by Pakistani army with the help of Rajakars. Bir Shreshtho Munshi Abdur Rauf was one of those 7 martyrs and killed brutally in Chittagong Hill Tracts while he was fighting against Pakistani army. Bangladesh Government also awarded freedom fighters as Bir Uttam, Bir Pratik, Bir Bikram. Before the Liberation War of Bangladesh, the general election of Pakistan was held in 1970. In 1970, there were two seats from Chittagong Hill Tracts in the then East-Pakistan parliament, named Rangamati and Bandarban. But the whole Chittagong Hill Tracts was the only constituency of the National Assembly of Pakistan. 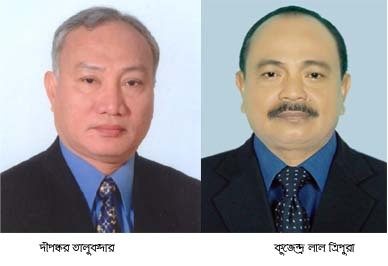 In 70’s election, Manobendro Narayon Larma was elected from Rangamati seat and A.S Pru Chowdhury was elected from Bandarban. But in National assembly election, the then Chakma Raja (Circle chief- recognized as the chief leader of tribal Chakma community. 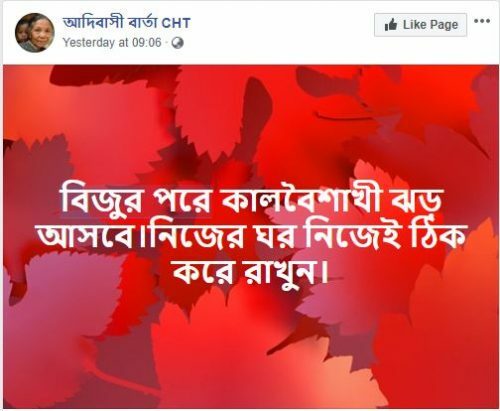 The post was created in under the Chittagong Hill Tracts Regulation 1900 by the then-British government) Tridib Roy was elected from the Chittagong Hill Tracts constituency. All of those 3 public representatives were from tribal communities and elected as independent candidates. But the matter of sorrow is any of the above elected persons didn’t stand beside Bangladeshi side in the 71’s liberation war. 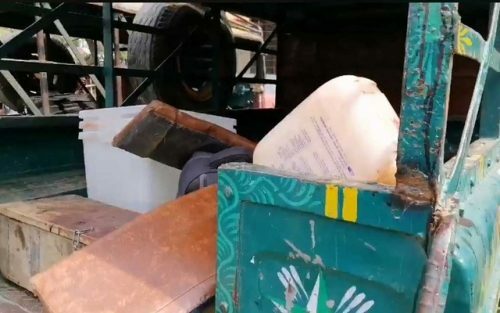 Rather, they choose Pakistani side, though the-then Pakistani military government was always blamed for removing tribal people from the zones they lived, establishing constructions such as Kaptai Dam and Karnafuli paper Mill. Because millions of tribal people had to leave Kaptai in 1965, as then-Pakistani government was establishing Kaptai Dam to generate electricity. Tribal people lost everything, but the then-government didn’t give them proper compensation. The shocking matter is, the then tribal leaders took the Pakistani military side and betrayed with the Bangladeshi freedom-fighters. ‘Raja Tridib Roy & Manobendro Narayon Larma had not been keeping distance from freedom wanted people since first phase of March’. 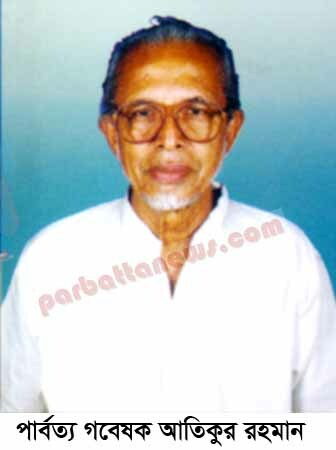 Later, Pakistany army could kill many freedom fighters including Bir Shreshtho Munshi Abdur Rab with the help of Tridib Roy led Rajakars. Analyzing many documents, related with the Liberation War of Bangladesh , it could be known that, Tridib Roy fled away to Myanmar with the help of Pakistani military in November 1971. Later, he moved to Pakistan. After reaching Pakistan (previously west-Pakistan), the then-government sent him to Bangkok as a special consul. Meanwhile in 1972’s UN General Assembly, application on Bangladesh’s membership in the UN was presented. Pakistan government sent a consul team headed by Tridib Roy to UN. Trdib’s assignment was to convince international community not to declare Bangladesh’s membership. Bangladesh Government sent Tridib’s mother Binita Roy to convince him not to go against his motherland Bangladesh and take him back. But Tridib didn’t hearken even his mother and continued lobbying against Bangladeshi membership in UN. Because of lobbying of Buddhist Tridib, China agreed to give veto! That time he could stop Bangladeshi membership in UN. For his ‘great’ achievement in favor of Pakistan, Julfiqar Ali Bhutto’s government gave him a red-carpet ovary in Airport and awarded him as a ‘national hero’! 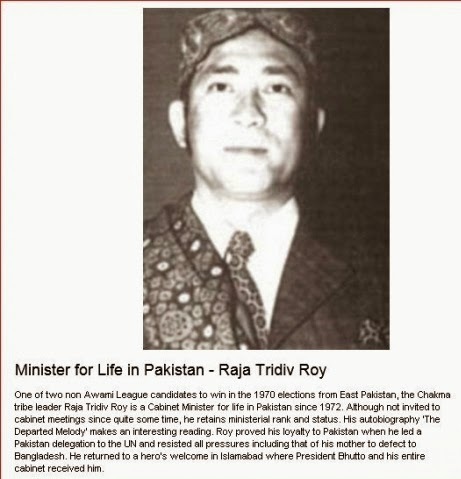 In a recent research paper on current Chakma chief Raja Debashish Roy (Son of Tridib) titled ‘Preview: Chittagong Hill Tracts & Chakma Circle Chief Raja Barrister Debashish Roy’, published by Society for National Research and Progress, it is shown that, how Tridib Roy kept connection among anti-Bangladeshi person and his family member, living in different countries till his death. For his ‘great’ contribution in favor of Pakistan, Pakistan’s government awarded him lifetime status of a full cabinet minister. He had been Pakistan’s Federal Minister in 1971, central minister on tourism and minority from 1975-1981, Ambassador of Pakistan in 5 countries of South America in 1981-1995, Ambassador at large with the status of State Minister in 1995, Federal Minister in 2003! He died in Karachi, Pakistan on 17 September 2012. ‘…tribal Rajakars went away inside the jungle. Later, they organized themselves and formed a armed organization named Shanti Bahini’. At first, India didn’t support Shanti Bahini. But after few years, India started sheltering and sponsoring Shanti Bahini to force Bangladesh Government stay under their (India’s) pressure. Though Shanti Bahini also killed thousands of Bangladeshis and committed genocide in CHT, but Bangladesh government signed a ‘peace accord’ with them in 1997. The accord says that, nobody can file a case against shanti bahini ever. Shanti Bahini’s chief Shantu Larma (Manobendra Larma’s brother) was awarded as regional council chairman with the status of State Minister and he has been holding the post since 1997. Bangladesh Government has started trial of war criminals. But Rajakars (war criminals) of CHT are not being included. Government should steps to start trial of them too. 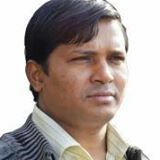 Already ex-opposition party BNP’s leader freedom-fighter Hannan Shah has raised his voice and demanded trial of Shantu Larma for his barbarian activities against Bangladeshi people during rebellion.